The Indianapolis Colts will host their 2019 Colts Skills Camp on Saturday, June 1, 2019 at the Indiana Farm Bureau Football Center from 10:00am-1:00pm. This camp gives kids in grades 2-8 an opportunity to improve their football skills through instruction from local youth, high school and college coaches. We are happy to announce that Colts TE Jack Doyle and CB Pierre Desir will join us at this year’s Colts Skills Camp! * This camp encompasses all skill levels and is open to participants of both flag and tackle football leagues. Participants will receive a camp t-shirt & two tickets to a colts home pre-season game! All of this for only $50! Sign up today! Please click the link to proceed with initiating your level 3 background check if interested in coaching on any level within the NEFL. In an effort to improve our league, we will be hosting monthly coaches clinics for anyone interested in coaching in the NEFL this season. Session Two was a great success, as we had over 20 coaches present and engaged in the process. I'm excited about our league and the direction we are going. Session Three will be Sunday evening, April 28th from 6-8 PM at Ivy Tech, enter through gate 18 and follow the signs. Attendees will sign in each month and the coaches selection committee will base our coaching selections on the attendance, participation, and buy-in of the coaches who desire to coach in our league. We will be supporting the coaches in our league, and giving them the tools to succeed with every aspect of coaching. We are excited for the future of the NEFL and of Noblesville football as a whole. June 1st: Late fee of $10 per registration imposed for registrations on or after this date. August 3rd: Jamboree – High school football field (Beaver Materials) This will be $5 per person to enter. Coaches (head & assistant), players & cheerleaders are free. Please communicate this to everyone in your family or that may be joining you. August 15th: Thursday games begin & will be throughout the season including October 3rd for the final Thursday game. More information & details will be announced as these dates get closer. 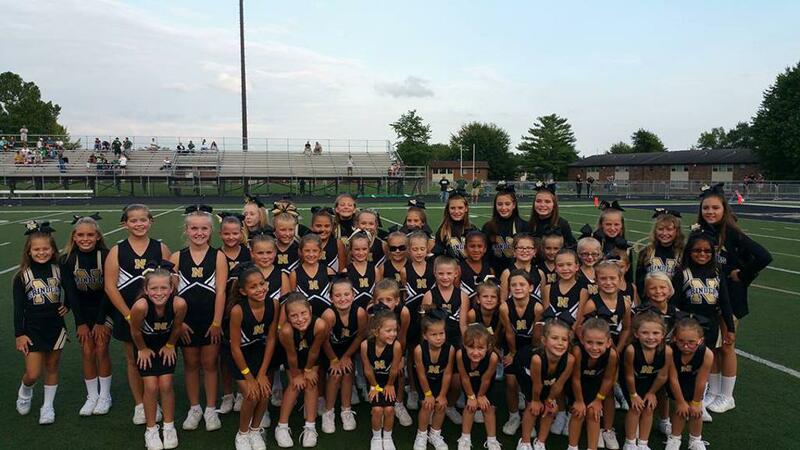 The NEFL is a not-for-profit volunteer driven organization dedicated to providing the youth of Noblesville a fun and safe activity while teaching the values of teamwork, sportsmanship and leadership through football and cheerleading. ©2019 Noblesville Elementary Football League / SportsEngine. All Rights Reserved.